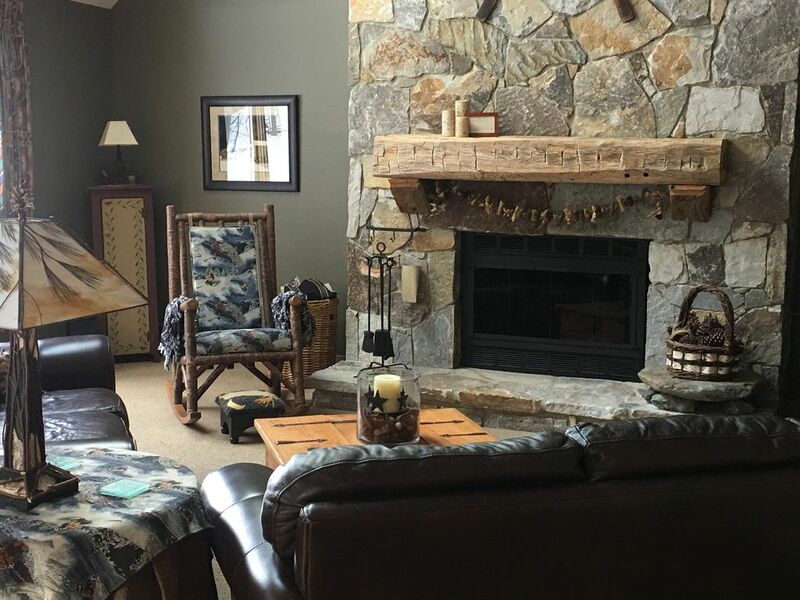 Warm and welcoming condominium located on Mount Snow in Vermont's Green Mountains. Park the car for the weekend; access to the mountain via SKI-IN/SKI-OUT or walk on/off for hiking and snowshoeing. Ski locker provided. In summer, If mountain biking is a favorite, it's a short ride to the lift and amazing bike trails; or a short walk to the chairlift for an on hill adventure. There are two golf courses just minutes away as well as an 8 mile lake for water sports. Ski from mountain trail onto complex trail system directly to unit. (Subject to snow conditions and lift operations). Ski from complex trail system (one directly behind unit) to lift access. (Subject to snow conditions and lift operations). Heated pool. In season, outdoor pool. We had a wonderful family vacation here for spring skiing! Really enjoyed the fireplace. Plenty of space. The 4th bedroom is open to the living space below which can be a little awkward, but overall it is very nicely furnished and the owner was great to work with and very prompt with responses. We hope to go back soon! Wonderful weekend spent in a comfortable atmosphere! Very clean, homey condo in a great location. Well equipped kitchen. Ski in/ski out is ideal. We would definitely return to this property. Note: A couple of the stove top control knobs are a little tricky. It was hard to tell what temperature setting they were at and hard to adjust. Perfect ski in ski out house! This house was perfect for our family ski trip! We loved the convenience of the ski in ski out, our non skiers never felt left out of the action because we would take breaks and all meet up at the house. We cooked dinner and played board games at night with the fire going. It was a very memorable trip. The conditions were excellent thanks to all the snow makers and the mornings were quiet on the mountain and perfect to jump up when the lift opens in the morning. The sun hits most of mount snow and even in single digits it feels very comfortable most of the time! We can’t wait to plan next years trip.